It has the third best private transport system in the world, a study says. Singapore is considered the world’s best at urban mobility as its scored a total of 64.1 points in a McKinsey&Company study. It scored 11 out of 20 points in terms of availability, 13 out of 20 in affordability, 13 out of 20 in efficiency, 14 out of 20 in convenience, and 13 out of 20 in sustainability. According to Elements of success, the city ranked third in private transport ranking with a score of 56.8 points, based on its scores in road infrastructure (20 out of 25 points), efficiency (14 out of 25), cost and barriers to private transport (11 out of 25), and safety (11 out of 25). 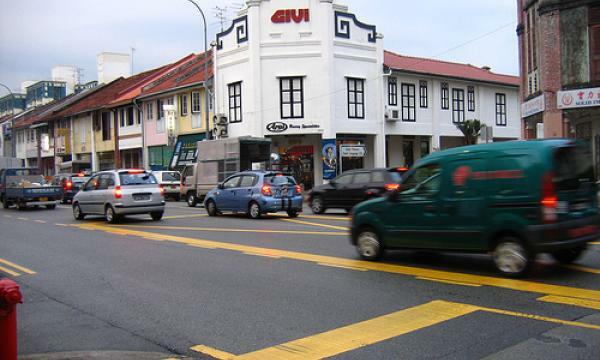 In general, Singapore residents are very satisfied with the city’s road infrastructure. “To assess availability of the road infrastructure, we looked at three main types of use: roads used by cars and ground public transit, bicycle lanes, and pedestrian roads,” said Stefan M. Knupfer, one of the study’s authors. Singapore ranked 21st in terms of cost and barriers to private transport with a measly 22 points out of 38. Along with Beijing and Tokyo, the city manages the affordability of private transport to control congestion and make their transport systems sustainable. “Expanding paid parking, imposing congestion charges, odd-even driving restrictions, new plates auctioning, requirements to own a parking space, and other initiatives are widely adopted by the leading cities to limit car traffic by managing its affordability,” the study said. The only concern of Singapore residents is the affordability of private transport, which coincides with the objective indicators. “However, this is the result of deliberate a car limiting policy, which includes relatively high costs of buying a new car (more than US$74,000 for a small SUV), the requirement for a special certificate from the government to start driving (up to US$37,000) and a charge to drive to the city centre,” Knupfer said. Meanwhile, Singapore is considered the third best at private transport efficiency. It was a standout from other global cities in terms of satisfaction because Singapore residents are considered neutral whilst other cities are unsatisfied with the efficiency of private transport. Singaporeans tend to be very satisfied with their city’s external connectivity, although it lags that of other cities. “Given that it is an island/city-state, the city’s absence of domestic flights is expected, and undiminished by the number of international flights offered,” the study said.